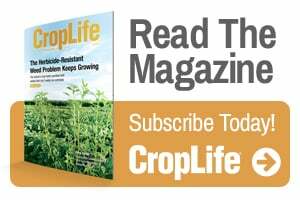 Arysta LifeScience has launched RAZE 0-3-2, an advanced foliar nutrition product that promotes more balanced uptake of essential plant nutrients necessary for optimum crop growth and higher yields. Available for corn and wheat crops, the foliar nutrition product is designed to be applied at key physiological stages of plant development for increased root, stalk, and vegetative development. In on-farm trials in the U.S., RAZE 0-3-2 has demonstrated consistently strong efficacy at different physiological stages of the crop’s development and under varying field conditions. In three years of replicated research trials in multiple regions, RAZE 0-3-2 provided a consistent 6.5 bushel-per-acre yield increase in corn at V5 stage. In wheat, the product has demonstrated a 5 bu/A increase at Feekes 3–5 application timing. By creating bigger, stronger plants and root systems, RAZE 0-3-2 helps improve the overall nutrient absorption, photosynthesis capability and carbohydrate storage needed to fuel plant growth and development. In field testing, corn treated with RAZE 0-3-2 featured a 21.6% increase in root length and a 16.7% increase in total root area, compared to untreated corn plants. Many fancy words and promises. Where is the data to support the claims? Farmers of today want to see the data so that they can evaluate. They are intelligent and capable of making decisions for themselves.